So you’re probably still thinking about summer, but designers have begun trickling in fall things already. 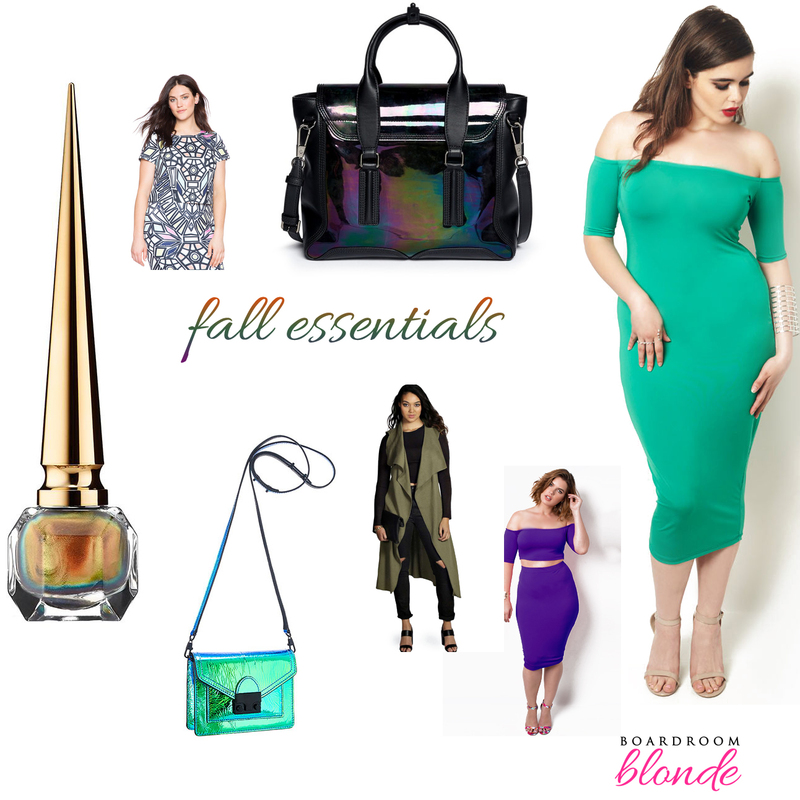 If you’re not ready to wear fall clothes that’s totally ok, but keep in mind, some of these fab pieces will sell out before you’re ready. Don’t be like the 2014 Jolene [me 😦 lol] and miss out on that perfect cross-body or the sweater every single blogger is going to buy and undoubtably make you wish you had too. Let me know in the comments which items are your fav! I love those flats! And that green blazer! Omg is the new fall trend oil slick acessories?!?!? Omg! Best fall EVER! Girl, you know I can’t wait!! !